I create special gardens that reflect my clients’ tastes & lifestyles, layered on top of a strong underlying design structure. We're happy to take on small courtyards to large country properties. My horticultural career started over 20 years ago. I began in the nursery trade where I first began to gain experience with plants and plant husbandry. Since then, I have expanded my knowledge with qualifications and many years working as a professional gardener. Alongside my design work, I am the head gardener for a large estate near Winchester where I continue to experiment with new ideas. Plants are my speciality but they are only used as part of a cohesive design that looks at all aspects of the project. Over the years I have worked on a variety of different projects, which include creating and maintaining wild flower meadows, designing and building gardens for new build projects (from smaller plots to country estates) and enhancing well established gardens. I am able to use my extensive knowledge of maintaining gardens and the wider landscape to create spaces which are beautiful, yet simple and easy to maintain. Often I see gardens that require far more maintenance than is necessary. With careful selection of plants and materials, a stunning garden can be created which does not require unnecessary high inputs of labour. Andy Stedman Landscape & Garden Design is an multidisciplinary, innovative and award winning design studio which works to the very highest professional standards. We also construct gardens and provide a full landscaping service. Our team can service gardens of any size whether commercial or residential, from contemporary roof terraces and urban courtyards to large country estates and public spaces. We work in close collaboration with our clients to explore and fully understand the needs and objectives for their garden. Our designs are conceived around our clients, their lifestyle and their home. 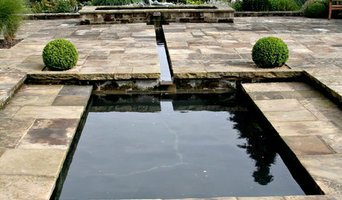 At Nicky Corkerton garden design our work is site specific and client led. We place great importance on the relationship between interior and exterior in order to successfully link the existing architecture to the surrounding environment. We are also very conscious of environmental issues and wherever possible we endeavor to source products in the UK. When you engage us you will get fresh ideas, designs that are stylish as well as practical and designers that have an expert knowledge of plants and materials. We take great pride and pleasure in every project. I create special gardens that reflect my clients’ tastes and lifestyle, layered on top of a strong underlying design structure. From small courtyards to large country properties, from a contemporary style to more traditional, a beautiful garden will be created that will also add value to your home. My practice is based in Henfield, West Sussex, and I trained in garden design at Plumpton College, East Sussex, where I qualified with distinction. I am a Pre-registered member of the Society of Garden Designers, currently going through their rigorous full accreditation process. Garden Designers and Nursery, specialising in hardy, evergreen, exotic, plants & trees including Niwaki. Led by Garden Design Manager, Debbie Boxall, our design team have over 40 years experience in garden design, planting and creative maintenance among them. We have an organic, client-led approach to garden design. Our designers are very hands-on and will be on site from conception through to completion talking to our clients all the way. 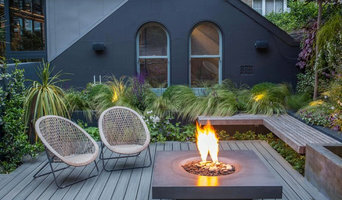 Our team has a wealth of experience in designing, building and maintaining every kind of garden from small courtyards and roof terraces to large country gardens - there's no project too big or too small! Looking for one plant or whole new garden? We can help. Talk to our experienced team for all the advice you need, the right plant for the right place, how to plant & aftercare. We will take you through the process from initial consultancy to site visit, concept & final plan. Our landscaping & creative maintenance team will bring it all together. A skilled workforce for planting & on-going care, ensuring your garden stays stunning. Additionally at the nursery we now have courses hosted by renowned artists, designers and horticultural experts. They range from painting a Bloomsbury-inspired lampshade to mastering the control of pests and diseases in your garden. 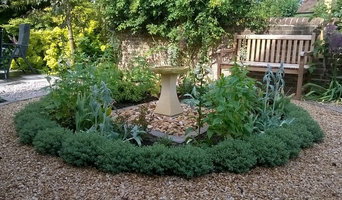 We offer: Full Garden Design, Planting & creative maintenance service. A nursery open to public & trade customers Mon-Sat 9am-5pm (closed Sun) We also have a range of craft and horticultural courses for you to enjoy. Gift vouchers & Gift registry service We stock Cretan Pots from The Terracotta Pot Company. Pots, fire pits & water bowls from The Pot Company & tools from Niwaki. Home & Garden @ AP have beautiful throws, candles & garden accessories. We have a selection of artisan gifts made in the UK. Whether you'd like help with creating a unique pathway to connect your home and garden, or building a garden building from scratch, we've done it all! We specialise in bespoke garden structures that can extend the seasonal use of your garden. Garden structures can be small, like a pergola or gazebo, or a large project such as a garden room or barn. We can assist with your project from initial thoughts, right through to completion, adding as much input as you require to make your aspirations a reality. You supply the garden and we will supply the materials and the expertise! Our aim is to provide an experienced, enthusiastic, reliable and honest service, with a little bit of creative flair. Please reach out regarding your next project- we look forward to extending your home into your garden! PCLandscapes is a multi award winning landscape design and build company that work with a range of clients from concept to completion to create exceptional external spaces that compliment the home, lifestyle and environment. Founder Paul Cowell is a chartered landscape architect and full member of the Landscape institute, a registered member of the Society of Garden Designers and a registered designer of the British association of Landscape Industries (BALI). Paul also sits on the board of directors for BALI and is a Past Chairman of BALI, as well as being annually invited to Merrist Wood College’s Landscape Industry Employers Liason Panel. Whatever your Duncton, West Sussex garden looks like, and whatever its size, you can probably benefit from the services of a Duncton, West Sussex landscape architect. If your neat rectangular flower beds and manicured lawn just aren’t cutting it anymore and you have grander aspirations, that’s where professional garden designers in Duncton, West Sussex can come in. Not only can a landscape architect design a garden that a Chelsea award winner might be proud of, they can also completely change the value of your home by looking at your landscape architecture as a whole. The work of a landscape architect serves much more than your garden; it makes the most of your outdoor space in a way that showcases your entire home. Landscape architects and garden designers in Duncton, West Sussex vary in their range of services, so think carefully about what you want from your garden design professional and how extensive a project it will be before hiring them. A landscape architect will handle all design, supply, construction and administrative elements of your garden or landscaping project. They will take into account your needs, the Duncton, West Sussex climate and unique advantages and constraints of the landscape architecture. Typically, work will be based on ecological and environmental considerations, and a garden will be planned not only to look its best but also to facilitate future maintenance and growth so that it continues to flourish. 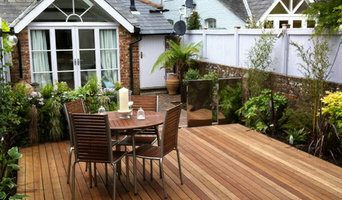 A Duncton, West Sussex landscape architect can also design any outdoor buildings that are to be featured in your garden. Everything from design blueprints through to the plants themselves should be provided by your Duncton, West Sussex landscape architect. If there is other architectural development taking place on your site, bring the landscape architect in as early as possible. The expertise a landscape architect can apply to understanding your space and the natural environment could be vital to planning your project. Let your Duncton, West Sussex landscape architect work closely with your architect, surveyor and any other contractors in order to develop landscape architecture that works in accordance with any other construction. This is important from a design perspective as well as on a practical level – changes to the grading of a landscape and modifications such as drainage can have serious implications on the viability of your land for extensive building and structural works. In order to resolve any planning permission issues, submit all applications for building and landscape architecture together, well ahead of the project. The scope of garden designers, or landscape gardeners, is often more limited to green space projects which will optimise your existing outdoor space rather than altering the landscape architecture as a whole. Whereas landscape architects specialise in the structural aspect of garden planning and building, garden designers in Duncton, West Sussex will carry out projects that are of aesthetic and horticultural value. Landscape gardeners will make your garden the best version of itself with features such as walkways, patios, water features, fences and lighting, as well as choosing the right plants, trees and flowers. The practical role of a garden designer may vary by firm – some offer just the plans, requiring a separate contractor, while others fulfil the project in its entirety, from conceptualisation of the landscape gardening to construction. Don’t be put off by the former if you happen to find a good Duncton, West Sussex garden designer that you like – he or she will have local industry connections to introduce you to quality, reliable gardening professionals with whom they have existing relationships. Here are some related professionals and vendors to complement the work of landscape architects & garden designers: Landscape Contractors, Garden & Landscape Supplies, Tree Services, Lawn & Sprinklers, Decks, Patios, Sheds & Summerhouses. How do I choose landscape architects or garden designers in Duncton, West Sussex? When choosing your Duncton, West Sussex garden designer or landscape architect, be sure to research their qualifications and look at examples of their previous work. A portfolio of previous landscape architecture or garden projects is important to ascertain both their credentials as well as their style. Once you have shortlisted or chosen your architect or designer, an on-site meeting is essential so they can see exactly what they’ll be working with. Stay briefed on all plans and developments, both before and during the project as a plan you approved previously may change during the course of the project. Be very clear on your budget – just like plans, costs may alter while work is underway so ensure your professional keeps you informed and does not incur additional expense without approval. If you are open-minded and budget-conscious, consider approaching new graduates keen for experience, who may negotiate a lower rate than more experienced professionals. How long have you been landscape architects or garden designers in Duncton, West Sussex? Find a landscape architect or garden designer on Houzz. 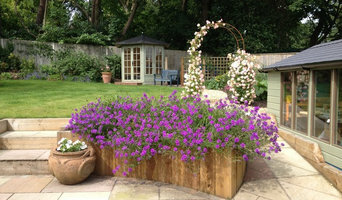 Narrow your search in the Professionals section of the website to Duncton, West Sussex landscape gardeners. You can also look through Duncton, West Sussex photos to find a garden you like, then contact the garden designers in Duncton, West Sussex who worked on it.